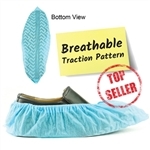 Looking for a breathable, durable shoe protection cover? Look no further than our 40-gram fabric shoe booties. 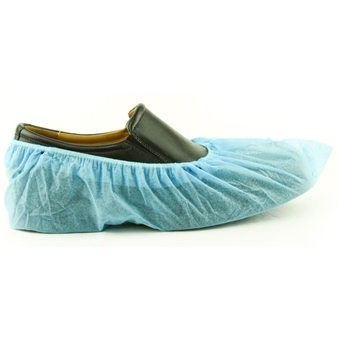 Our thicker and more durable disposable fabric booties are an attractive lower-cost option that provides quality, durability and breathability. 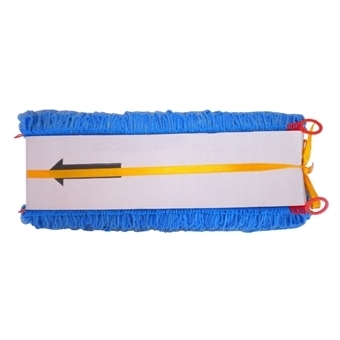 The nonwoven fabric is low-lint, durable, and helps filter particulates for contamination control in critical environments. 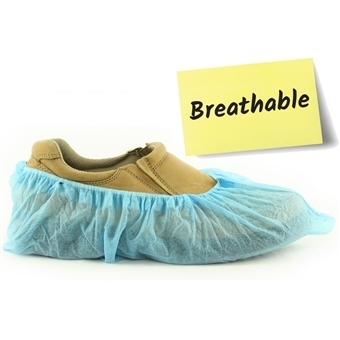 Made from heavy-duty 100% spunbond polypropylene, our disposable fabric booties are a solid option in non-hazardous and low particulate barrier applications. 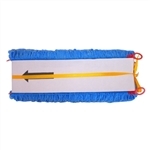 The elastic band around the ankle provides a customized and secure fit for almost every size foot. 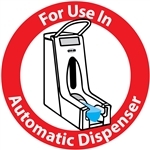 Use these shoe protection covers by the bundle in our Shoe Inn Stay or Fusion shoe cover dispensers--these disposable foot covers will be ideal for your breathable, durable, non-waterproof shoe cover needs. 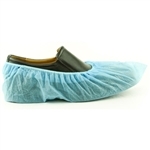 Each bundle contains 80 safety shoe covers. 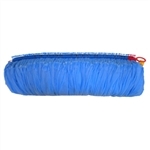 Fifteen (15) bundles are included in a case for a total of 1,200 shoe covers (600 pairs). 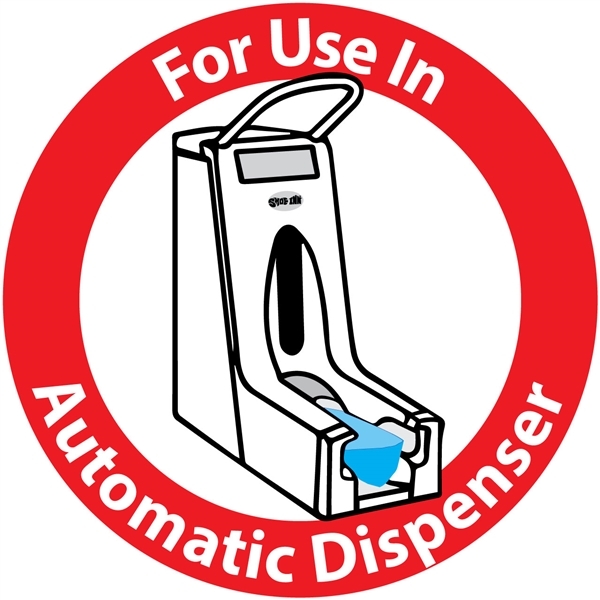 To receive a no-obligation quote on shoe covers and our automatic shoe cover dispensers, please fill out this form. Additional volume discounts are available--call us toll-free at 1 (877) 595-SHOE (7463) to discuss your needs! Each bundle contains 80 safety shoe covers. 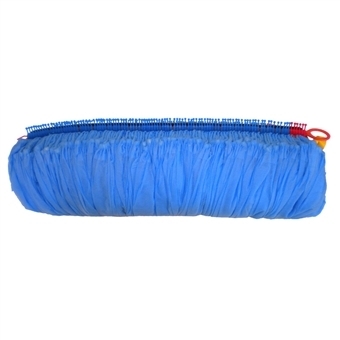 Fifteen (15) bundles are included in a case for a total of 1,200 shoe covers (600 pairs). 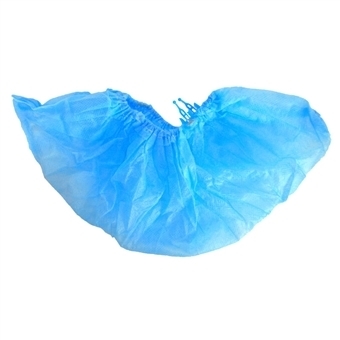 If you want to buy a bigger bundle, please see our polypropylene fabric shoe covers (750 pairs in a bundle).